Complete MUH collection from 1957 2/- Map to 1989 Landscapes set on Seven Seas Hingeless album pages. Largely complete MUH collection from 1957 2/- Map to 2006 Fish set in Seven Seas Hingeless album with slipcase. Excludes all modern gutter pair issues only. 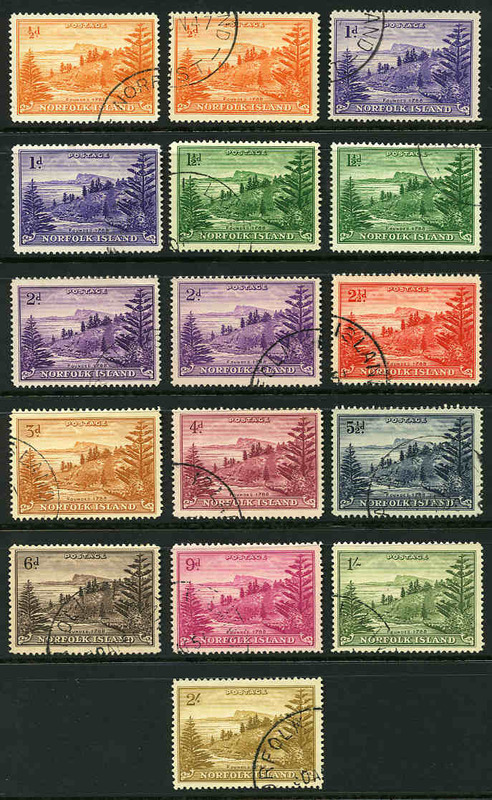 1957-61 Pre-Decimal set (10 sets) and 1966 Definitive set (5 sets) MUH and well centered. 1966 Definitive set MUH and well centered. (10 sets). 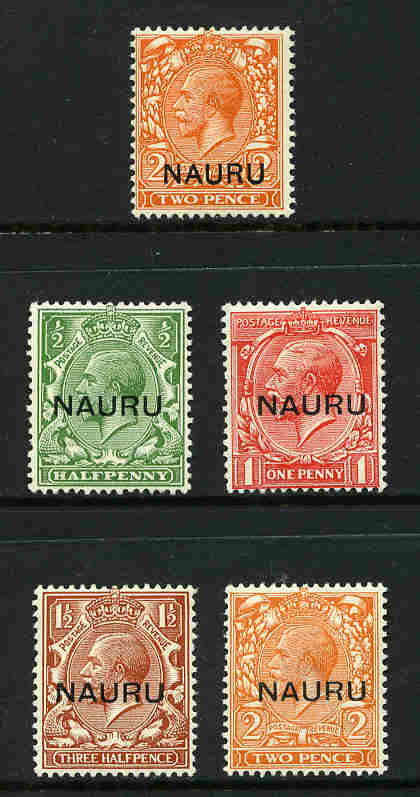 Largely complete MUH collection from 1958 QEII Definitive set to 1989 Christmas set on Seven Seas Hingeless album pages. Excludes 1988 Settlement set only. 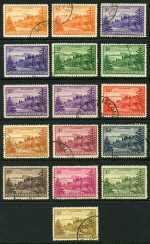 Largely complete MUH collection from 1958 QEII Definitive set to 2007 Lunar New Year 12 Year Cycle sheetlet. Excludes few later issues only. Largely complete MUH collection from 1963 Definitive set to 1989 Naval Engagement set on Seven Seas Hingeless album pages. Excludes 1988 Sydpex M/S only. Largely complete MUH collection from 1963 Definitive set to 2005 Reef Sharks set. 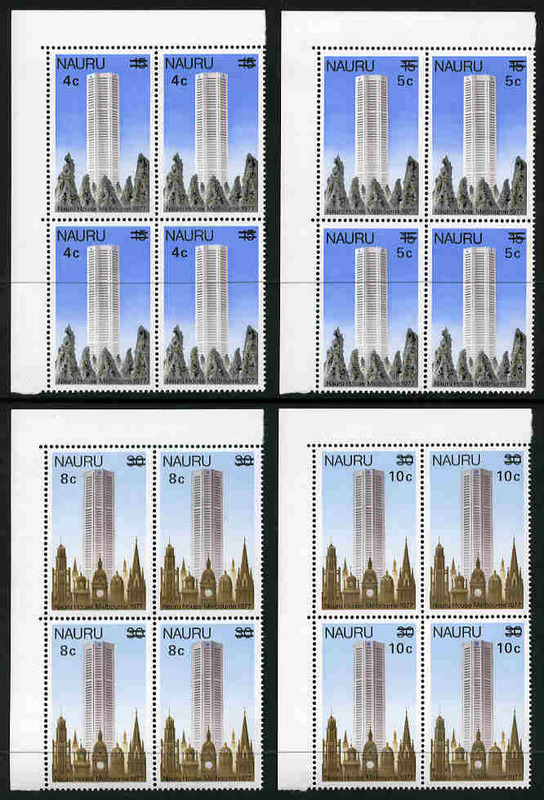 Excludes 1990-91 Provisional overprints set, 1990 $5.00 Airmail and several later sets only. Accumulation of Post Office Packs from 1976 to 1993. Face Value $330.00. 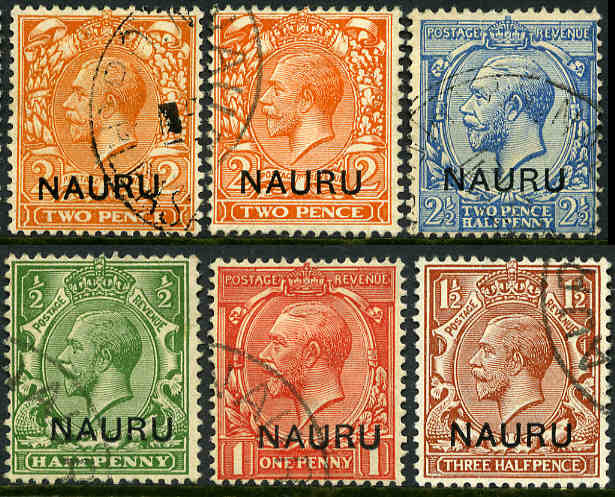 Comprehensive collection of mint and used stamps commencing with a selection of Marshall Islands issues cancelled in Nauru and then largely complete from 1916 KGV set to 1979 Rowland Hill set with numerous sets represented both mint and used including 1916 2/6 Seahorse (5 with various printings), 1924-28 Rough paper Ships set and 1937-48 Smooth paper ships set. Few faults. Well worth inspecting. Catalogue Value $3,180.00. 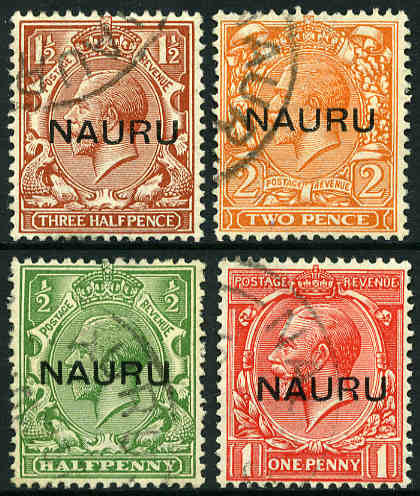 1923 KGV O/P at centre set FU. Sg 13-16. Catalogue Value $337.00. 1916-19 2/6 Pale Brown Bradbury Wilkinson Print Seahorse with double O/P, one Albino MLH and well centered. Light crease. Sg 25a. Catalogue Value $1,000.00. 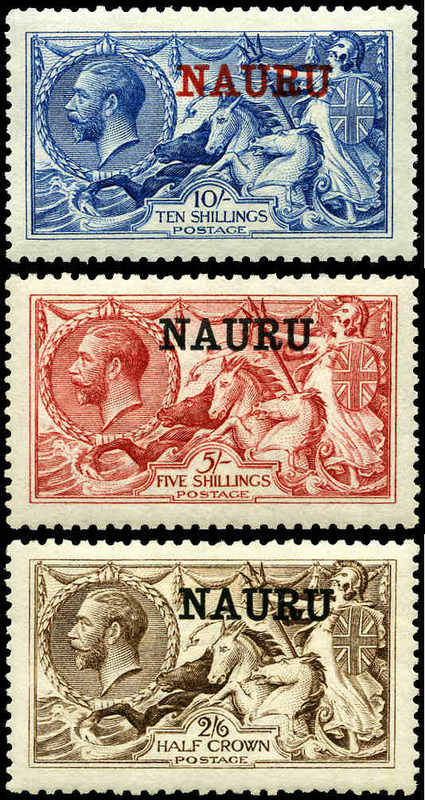 1916 De La Rue print Seahorse set O/P Nauru MLH, the 10/- value creased. Sg 20, 22 and 23. Catalogue Value $878.00. 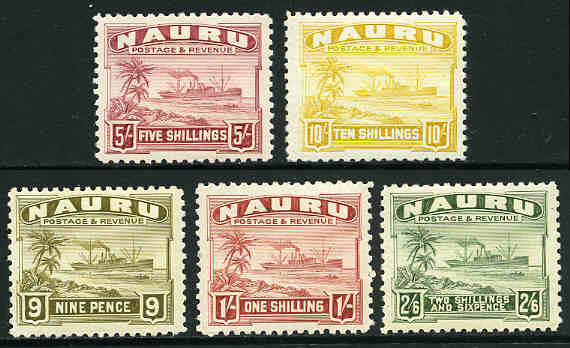 1937-48 Smooth Paper Ships set of 14 MLH. 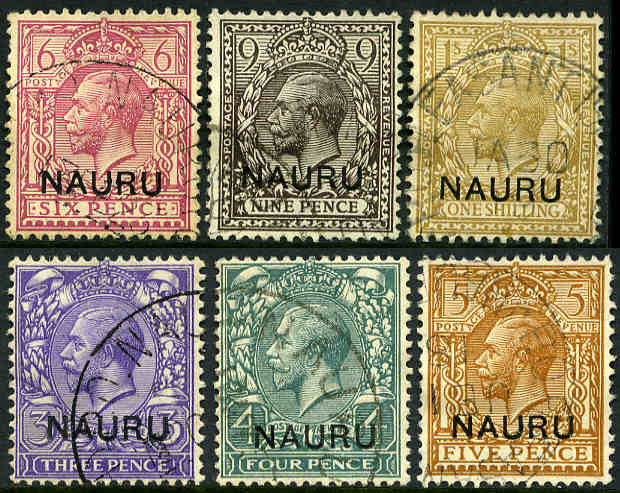 6d value with short perfs and 9d value with gum toning. Sg 26B-39B. 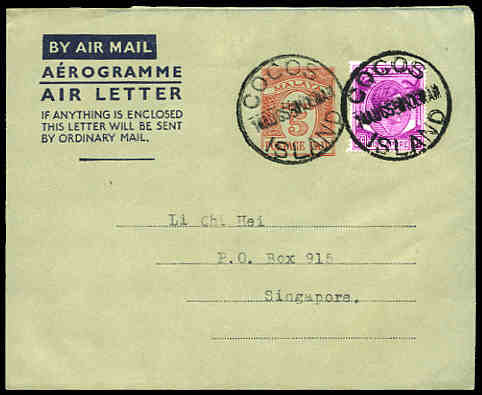 Selection of 75 mostly Pre-Decimal covers and miscellaneous items including First Day Covers, Post Cards, States period items, Censor covers, one being a WWII Clarrie King illustrated cover and more. Interesting lot with some handy items. 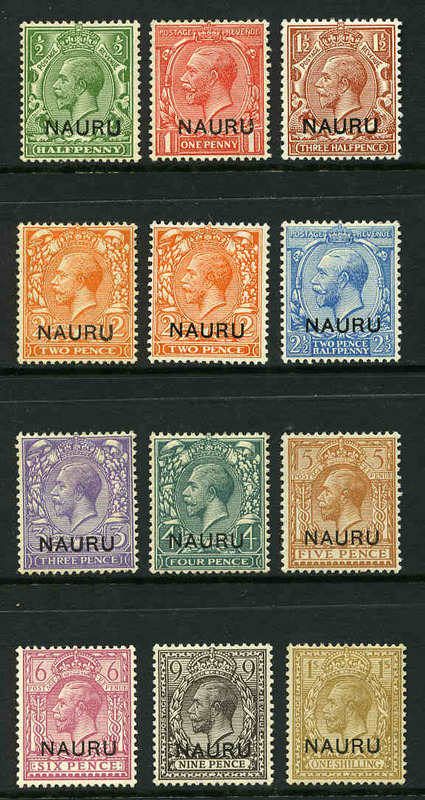 1947-56 Ball Bay set including ½d, 1d, 1½d and 2d White Paper VFU. 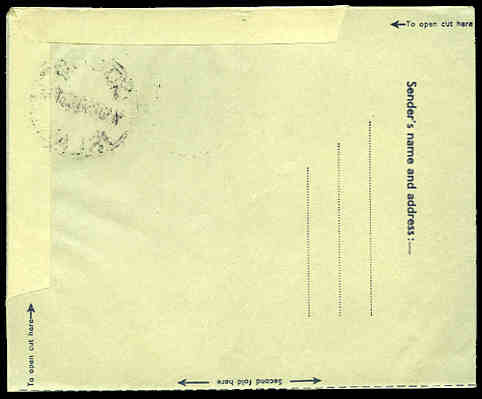 1961 10/- Bird O/P 13½mm and 15½mm Specimen MUH and well centered. Retail $130.00. Largley complete mint collection from 1962-63 Fish set to 1993 Christmas set excluding 1990 Stamp Exhibition set only in KA-BE Hingeless album. All issues from 1967-68 Ships set onwards MUH. 1970-71 Birds and 1980-81 Airplanes, Christmas Island 1977-78 Famous Visitors and Papua New Guinea 1973-74 Panorama Definitive sets MUH. 1976-77 Butterflies and Moths set in MUH sheets of 50. Face Value $275.00. 1995 $1.80 Flowers booklet O/P Singapore'95, 1997 Coat of Arms booklet (4) and 2001 Perfumes Prestige booklet MUH. 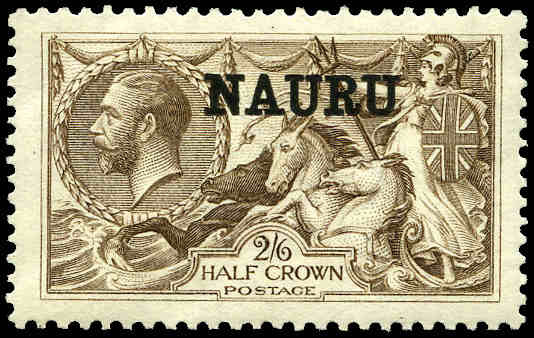 Christmas Island and Cocos (Keeling) Island selection of 375 mainly higher value commemorative stamps from 1994 to 1999 in large blocks CTO with GPO Melbourne cancellation. 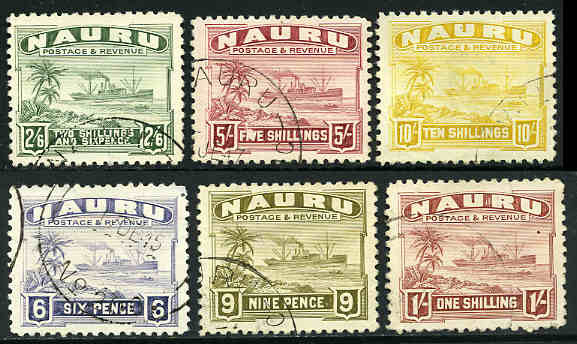 Christmas Island and Cocos (Keeling) Island selection of 505 mainly higher value commemorative stamps from 1994 to 1999 in large blocks CTO with GPO Melbourne cancellation. 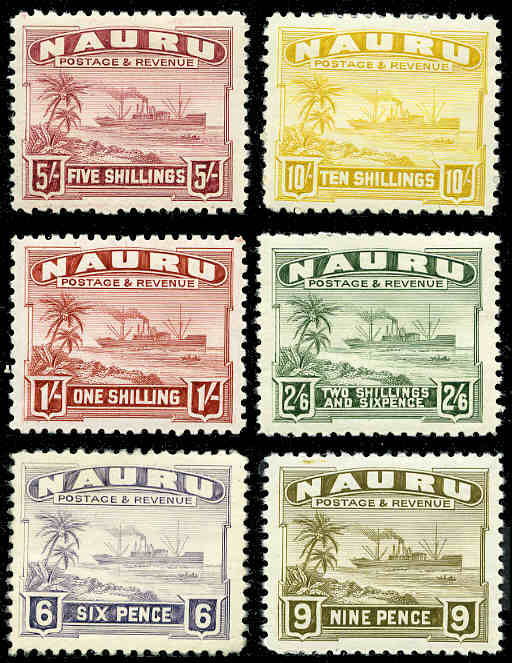 Largely complete MUH collections of Christmas Island from 1958 QEII Definitive set to 1984 Christmas M/S, Cocos (Keeling) Island from 1963 Definitive set to 1984 Determination M/S set, Nauru from 1924 Definitive set to 1981 Fishing set and Norfolk Island from 1947-59 Ball Bay set of 14 to 1980 Christmas set in 2 loose leaf albums. 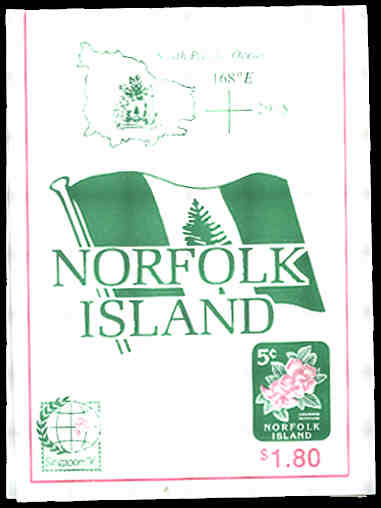 Norfolk Is 1960 2/8 Local Government MLH, but includes additional 1974 UPU M/S MUH and 1974 UPU M/S on plain FDC (2). Excludes few lesser items only. 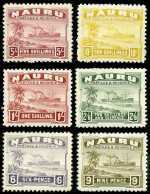 Collection of MUH stamps comprising Christmas Island from 1981 to 1992, Cocos (Keeling) Islands from 1976 to 1993 and Nauru from 1979 to 2002 including numerous sets and miniature sheets. Some light duplication. Face Value $521.00. 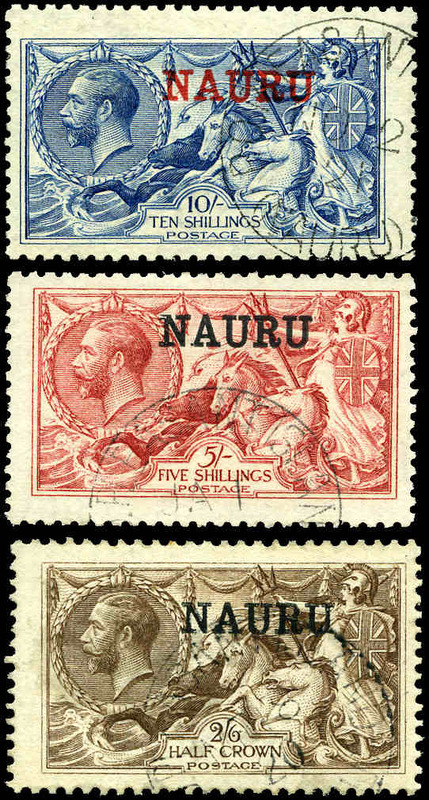 Christmas Island collection from 1953 QEII Definitive set to 1981 Phosphate set MLH, plus additional 1953 QEII Definitive set FU and on FDC's, Cocos (Keeling) Islands collection from 1963 Definitive set to 1988 Animal Quarantine Station set MLH and Nauru collection from 1954 Definitive set to 1981 Fishing set MLH, plus additional 1954 Definitive set FU. All largely complete on album sheets. 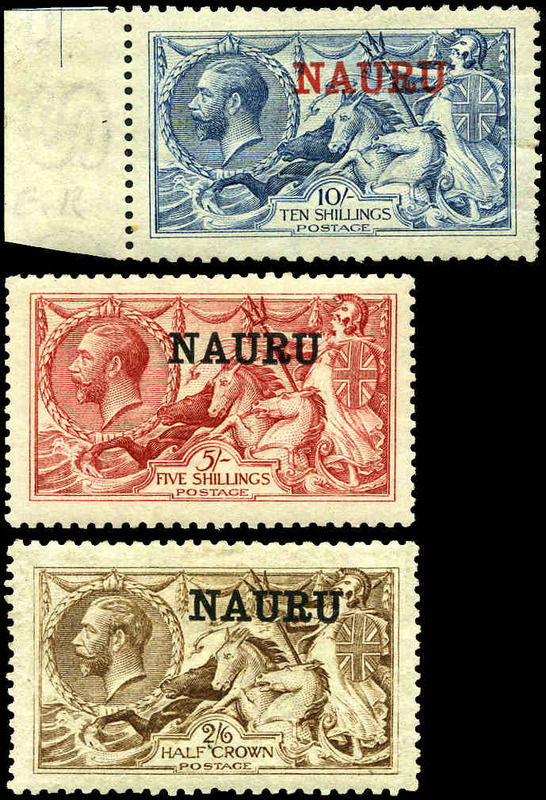 Largely complete MUH collections of Australian Antarctic Territory from 1957 2/- Map to 1972 Cook set complete, Christmas Island from 1958 QEII Definitive set to 1986 Charles Darwin set and Cocos (Keeling) Island from 1963 Definitive set (MLH) to 1986 Royal Wedding set including some duplication in Seven Seas Hingeless album. 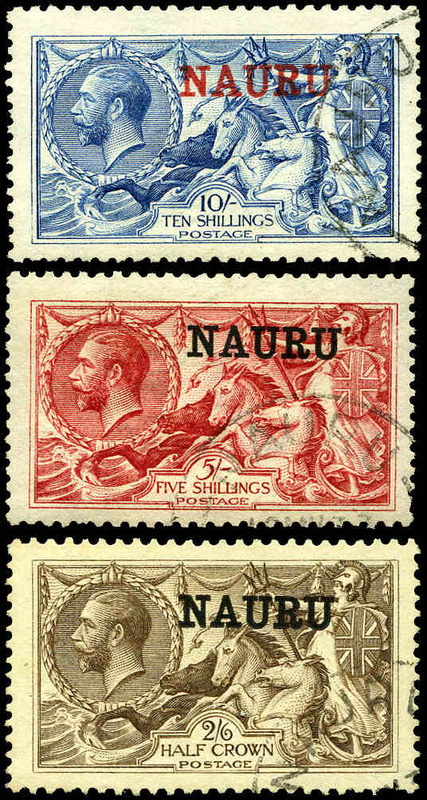 Also Australian collection of mint and used stamps from 1913 to 1984 including handy range of earlier issues in loose leaf album, Hagner binder and sparcely filled Seven Seas Decimal Hingeless album to 1988, plus a range of Cinderella issues, on and off paper mixture in small box and several banknotes. Christmas Island 1995-97 20¢, 30¢, 75¢, 85¢, 90¢, 95¢ and $1.00 Fish and Cocos (Keeling) Island 1995-98 30¢, 40¢, 70¢, 80¢ and 95¢ Fish in blocks of 25 or 50 CTO with GPO Melbourne cancellation. (50 of each). Face Value $405.00. 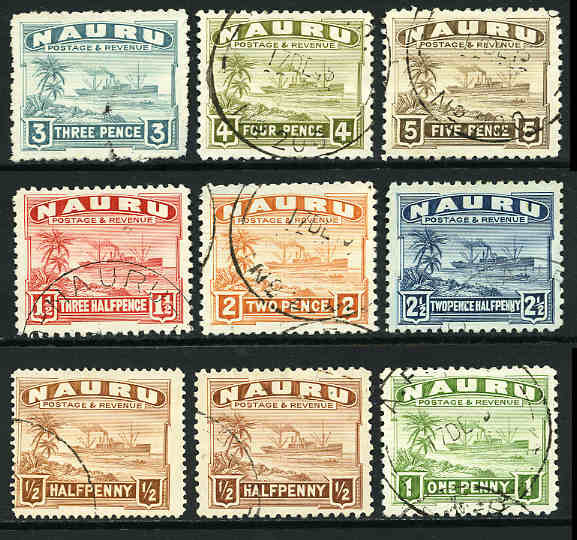 Australian Antarctic Territory, Christmas Island, Cocos (Keeling) Island, Nauru, Norfolk Island and Papua New Guinea collection of MUH, MLH and fine used stamps from 1947 to 1987 including handy items and numerous sets on Seven Seas pages (Hingeless pages from 1979 onwards) in 3 binders. 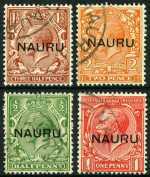 Also Australian collection of mainly used stamps to 1978 in Seven Seas Standard album plus range of covers, FDC's, on paper mixture and selection of coins including some Foreign. 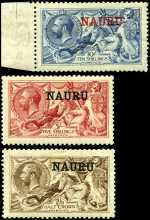 Australian Antarctic Territory, Christmas Island, Cocos (Keeling) Islands, Nauru, Norfolk Island and Papua New Guinea collection of hundreds of mainly MUH stamps from 1957 to 1984 including handy items, miniature sheets and numerous sets on Hagner sheets, plus range of presentation packs. Some duplication. 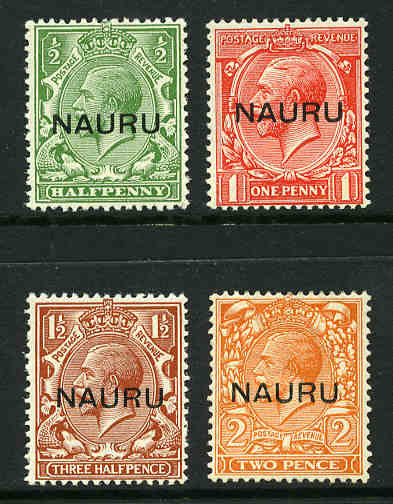 Face value of MUH stamps $314.00. 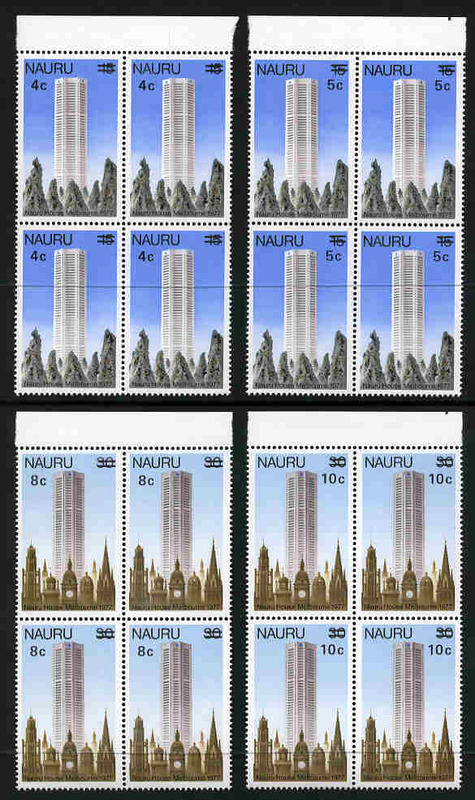 Selection of MUH Australian Territories stamps from 1978 to 1993 comprising Christmas Island (Face $154.00), Nauru (Face $118.00), Norfolk Island (Face $49.00) and Papua New Guinea (Face K115.00). 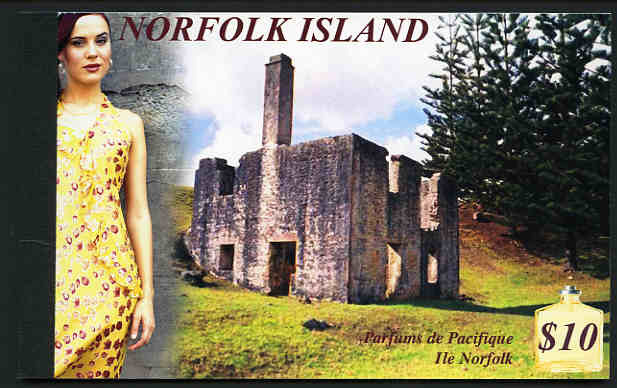 Christmas Island, Cocos (Keeling) Islands, Nauru, Norfolk Island, Papua New Guinea, Pitcairn Islands, Fiji and Samoa selection of MUH stamps, miniature sheets and presentation packs from 1972 to 1985 including numerous sets and duplicates. Face Value $534.00. 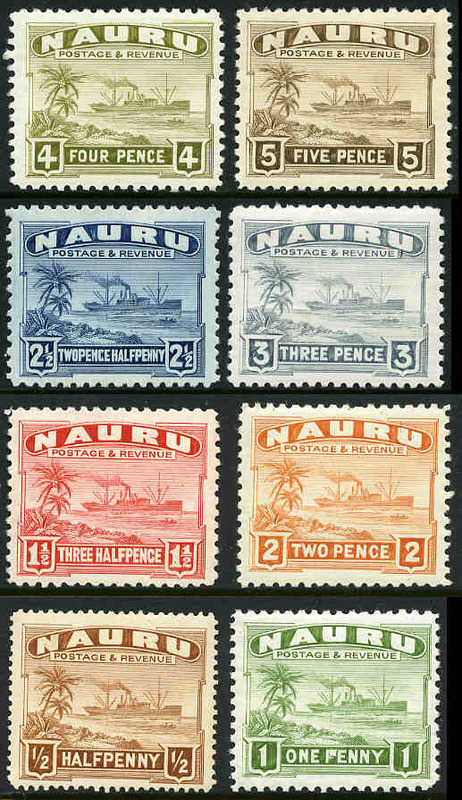 Christmas Island, Nauru, Norfolk Island, Papua New Guinea, New Zealand and Pitcairn Islands selection of MUH stamps and miniature sheets from 1977 to 1984 including numerous sets and odd duplicate. Face Value $205.00. 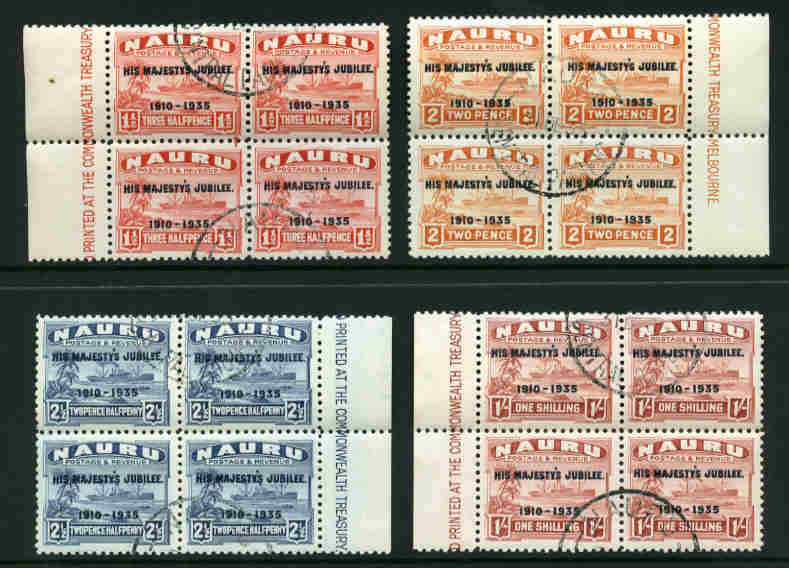 AAT 1972 Cook POP, Christmas Island 1979 Year of the Child strip of 5 (14) and 1979 Rowland Hill strip of 5 (10), Nauru 1979 Year of the Child strip of 5 (5) and New Zealand 1976-1979 Year packs, plus a range of mint and used stamps, covers and miscellaneous items. 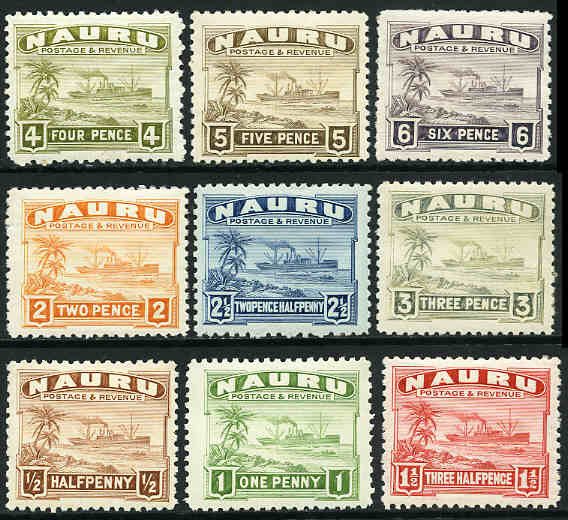 Christmas Island, Cocos (Keeling) Islands, Nauru, Norfolk Island, Papua New Guinea, Fiji, Kiribati, Niue, Pitcairn Islands, Samoa, Solomon Islands and Tuvalu collection of MUH stamps and miniature sheets from 1946 to 1988 including numerous sets and duplicates in 4 quality stockbooks. Includes some handy sets and odd earlier issue MLH or FU.